If your home needs a quick touch-up before guests arrive, there is an amazing thirty minute cleaning task that can do wonders for your home! As you make your way through the home, you’ll use the larger bin to toss in out-of-place big items. These items might include games or clothing that have been left out; and you’ll do the same with the smaller bin, collecting small miscellaneous clutter items that might be lying around on counters, end tables and other surfaces. You move through a room, first collecting the large items and then the small items. Once clutter is collected, then use your cleaning cloth and all-purpose cleaner to go over dusty surfaces. Don’t forget to give the baseboards a quick swipe with your damp cloth to make them cleaner and neater looking. 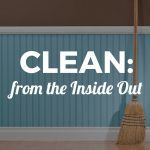 Move through every room of the home using this quick cleaning technique. Once you wipe surfaces and pick up clutter, you then give your kitchen cabinets and refrigerator a quick wiping down with a new cleaning cloth and your all-purpose spray. This is a quick and simple way to de-clutter your home and make it presentable just before company arrives. While deep cleaning and putting away the clutter items from your buckets can be done at a later time, this thirty minute task can help to make your home much more inviting and organized. It’s a great go-to cleaning solution if you have guests arriving on little notice! 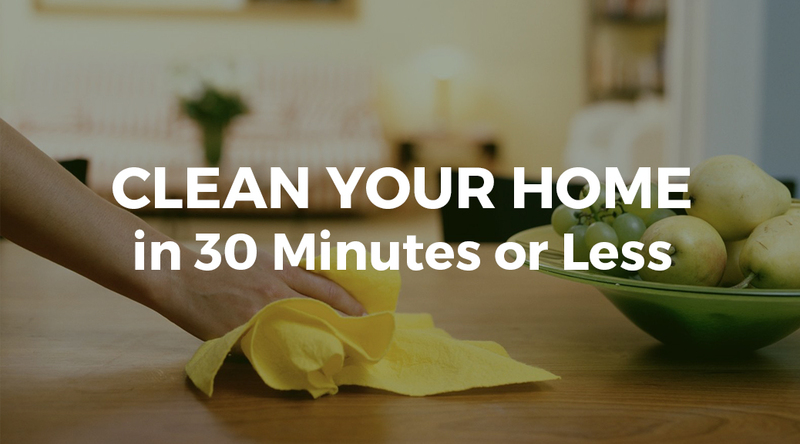 While this thirty minute cleaning schedule is an ideal way to prepare for company, you might be more comfortable if the entire home is better prepared. This can include making sure bathrooms are deep cleaned, floor treatments, glass surfaces, kitchen tiles scrubbed and other heavier household cleaning jobs. If you simply don’t have the time to do these deeper cleaning jobs, giveMaids of Honor a call and we’ll be happy to get your home in tip-top shape. A regular cleaning service can help you to be better prepared anytime company arrives on short notice.